The basement might not be the most appealing section in a building but, it plays an integral role in the support of the entire structure. The basement bears the weight of the building, its occupants and everything in it. Thus, whenever it begins to deteriorate, the impacts will no doubt be felt in other parts of the building too. Basement wall waterproofing is the best measure that can effectively cushion it from quick wear and tear. But, that can only be so if the procedure is conducted right and, also using top notch basement waterproofing products. Finding a professional for basement wall waterproofing can be tricky, especially if you have never hired waterproofing services before. But, there is no reason to go through the hassle anymore. At Waterproofing Singapore, we provide custom basement wall waterproofing services for both new constructions and refurbished buildings. In fact, our company has been able to help many home owners and commercial property developers in Singapore with lasting basement wall waterproofing solutions. Whenever the basement of your building is waterproofed, it will be able to withstand various elements of damage including, cracks and leaks. As a result of this, the foundation will remain dry and stronger for a very long period of time. With a strong foundation, even the building will be able to stay in great shape over time. Proper basement wall waterproofing helps in fixing all the potential humidity and water problems, which can enable you to effortlessly introduce new remodeling aspects. Waterproofing the basement will ensure that even in seasons of snow and floods, it remains dry, free from condensation stains along the walls. Thorough basement wall waterproofing can also have greater health benefits, making sure that the building is safe for all users. If the basement is not waterproofed properly, leaks are a common occurrence that will make the basement damp. As a result of this, it can easily attract molds and fungus, which are linked to health conditions like, allergies, asthma among others. Basement wall waterproofing also helps with easy cleaning, which will also make your life much easier. In fact, a properly waterproofed basement can even be turned into a guest room or office instead of a store for old furniture, equipment and newspapers. 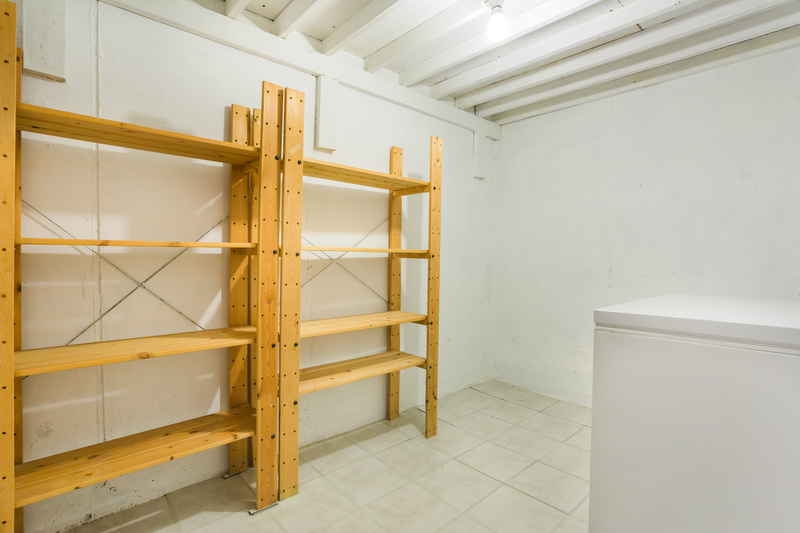 Basements that are poorly waterproofed or not waterproofed are usually vulnerable to various forms of damage from water, cracks and other elements. This also comes with frequent repair and maintenance works, which can be very costly. Waterproofing on the other hand, enhances the durability of the basement so you are not faced with constant repair and maintenance. Thus, conducting the procedure can be quite helpful in cutting down costs. Basement wall waterproofing also helps with ensuring better insulation and ventilation for the building. As a result of this, it could also contribute lower energy costs. Considering basement wall waterproofing enhances the strength and appeal of the entire structure, it plays an important role in preserving the value of the property. And, this can be great news for those thinking of re-sale since it will enable you to get a better price for it when the time comes. Basement wall waterproofing can always help you avoid several risks, some of which have been discussed above. However, it should be noted that this can only be achieved if the procedure is done right. And, we are the basement wall waterproofing experts that you can trust to perform professional workmanship on your building. Over the years that we have been offering waterproofing services, we have been able to learn quite a lot with regards to the most suitable products and techniques for the procedures. While offering basement wall waterproofing services, we always strive to focus on the unique needs of every customer so as to deliver custom solutions. In order to gain a better understanding of our clients’ needs, we always begin our procedures with an examination or inspection of the job site. Our team of inspectors can always be sent to your site to evaluate the state of the basement so we are able to determine the most appropriate basement wall waterproofing approaches to be taken. The inspection is free and can be done at your convenience. Depending on the condition of the basement, materials it is made from and your needs, we will choose the most suitable waterproofing materials and membrane system to keep it in good shape for the longest time. There are various waterproofing materials and membrane system that we can apply for basements including, liquid waterproofing, bitumen waterproofing, waterproof paints, sealants, cementitious waterproofing, bentonite waterproofing among others. In every project, we will also select and use the best quality basement waterproofing membrane for lasting solutions. Apart from the waterproofing materials and membrane systems above, we can also perform both interior and exterior water drainage to divert water intrusion and, also prevent such cases in the future. Whether your basement is made of concrete, bricks or other building materials, we have the right tools to always conduct proper waterproofing. We offer basement wall waterproofing for both small basements in residential property as well as larger ones in commercial buildings. With us, you can effortlessly recreate an old and forgotten basement into a comfortable space where your family and guests would want to spend time. In case you are constructing a new home or business premises, we always recommend that basement wall waterproofing is done before its completion. This is usually more cost-effective than waiting until when renovations are done. Read more on how injection waterproofing works in our article in the blog section. At Waterproofing Singapore, we can always provide an accurate and free basement wall waterproofing estimate tailored to your budget and needs on short notice. Get in touch with us now for a free basement wall waterproofing estimate.